Social media site Gab, popular among far-right extremists, has found a new domain host and expects to be back online by Sunday, it tweeted on Saturday. Gab's earlier domain host, GoDaddy, dropped the site following the news that the Pittsburgh synagogue shooter Robert Bowers had been an avid poster on the site. In a lengthy blog post, Rob Monster, founder and CEO of Gab's new domain host Epik.com, wrote that he "did not take the decision lightly," but "de-platforming is digital censorship." Monster said he had spoken to Gab founder Andrew Torba as part of his "own search for truth." Gab tweeted Saturday that it is "getting close" to being live on the new domain host. Getting close. Posts still aren’t loading, so working on that issue now. Then a full quality test by our team to make sure everything works. Pray for the team, they are working very hard. The site also tweeted Saturday that "law enforcement did reach out again yesterday and needs our help," which could delay the site going live by Sunday because "that's our top priority." Bowers, who killed 11 people at a Pittsburgh synagogue last week, regularly used Gab to post anti-Semitic content. He frequently railed against the Hebrew Immigrant Aid Society (HIAS), a Jewish nonprofit that aids refugees. On the morning of the shooting, he posted "HIAS likes to bring invaders in that kill our people. I can't sit by and watch my people get slaughtered. Screw your optics, I'm going in." Gab launched in 2016 and bills itself as a "social network for creators who believe in free speech, individual liberty, and the free flow of information online." But the site has run into controversy over the years for allowing extremist content with very little oversight. In the immediate aftermath of the shooting, Gab pushed back against claims about hosting Bowers' radical views. 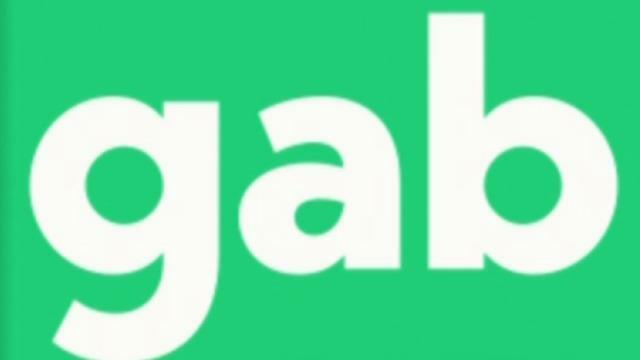 "Social media often brings out the best and the worst of humanity," Gab said in a statement. "From live streamed murders on Facebook, to threats of violence by bombing suspect Cesar Sayoc Jr. that went unaddressed by Twitter, and more. Criminals and criminal behavior exist on every social media platform."